LoungeKey™ provides unlimited access to over 900 lounges in over 450 cities worldwide for Monaco Visa Platinum Rose Gold, Space Gray, and Obsidian Black Cardholders. 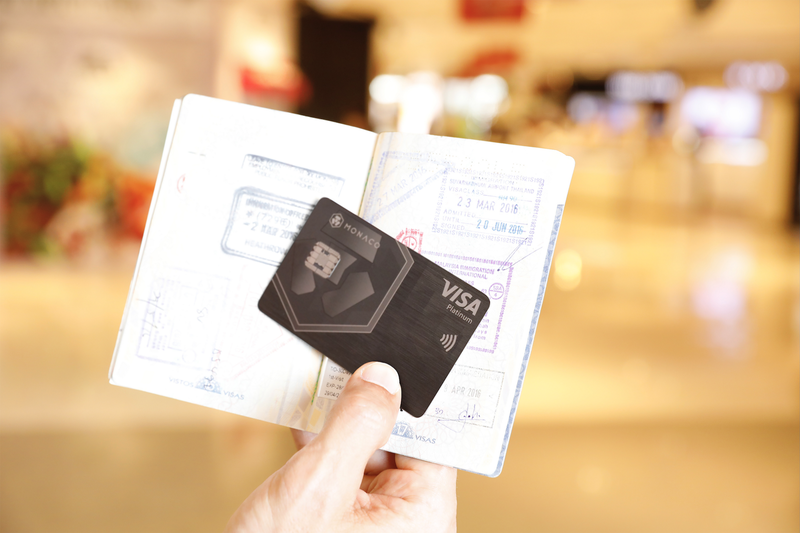 <HONG KONG, December 20, 2017> — Monaco, the pioneering payments and cryptocurrency platform, has partnered with Collinson Group for the provision of LoungeKey™ to add airport lounge access for Monaco Visa Platinum Obsidian Black, Rose Gold, and Space Gray (Precious Metals) cardholders, as the latest addition to its line-up of card benefits. Precious Metals and Obsidian Black cardholders will be able to enjoy unlimited access to over 900 premium lounges in over 450 cities worldwide. Obsidian Black card holders will also be able to enjoy the lounges with an additional guest. LoungeKey™ will offer Obsidian Black and Precious Metals cardholders instant access to premium lounges with just their Monaco Visa card, eliminating the need to carry extra cards or vouchers. LoungeKey™ access is not limited by the airline chosen or ticket in hand, and welcomes cardholders in all destinations. With the LoungeKey™ smartphone app, cardholders can easily find the nearest lounge through the ‘Lounge Finder’ feature. Developed by the Collinson Group, global leader in influencing customer behavior to drive revenue and value for its clients, LoungeKey™ offers unrivalled service quality to ensure cardholders feel at home wherever they travel. “As a commitment to empower consumers across the globe and enhance their travel experiences, we will continue to work with partners to introduce more innovative features to the Monaco Visa cards. In addition to the LoungeKey™ access, Monaco Visa Platinum Obsidian Black and Precious Metals cardholders are also able to enjoy perfect interbank exchange rates and up to 2% cryptocurrency cashback on all purchases,” said Kris Marszalek, Co-Founder and CEO of Monaco. LoungeKey™ is operated by Collinson, a global leader in shaping and influencing customer behaviour to drive revenue and value for its clients. The Group offers a unique blend of industry and sector specialists who together provide market-leading experience in delivering products and services across four core capabilities: Lifestyle Benefits, Loyalty, Insurance, and Assistance. Collinson has over 25 years’ experience, with 25 global locations, servicing over 800 clients in 170 countries, employing over 2,000 staff, managing over 20 million end customers.